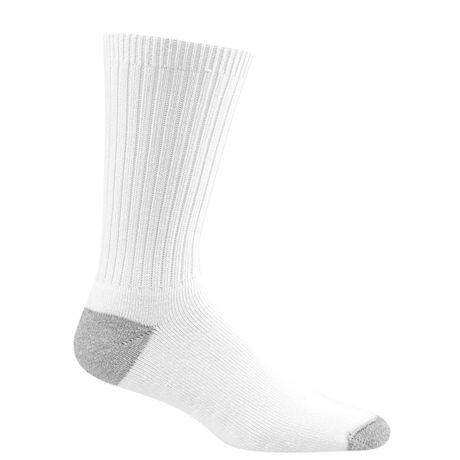 Wigwam® Diabetic Sport Crew Socks are made with Dri-release® technology to remove excess moisture from your feet, keeping them cool and dry. 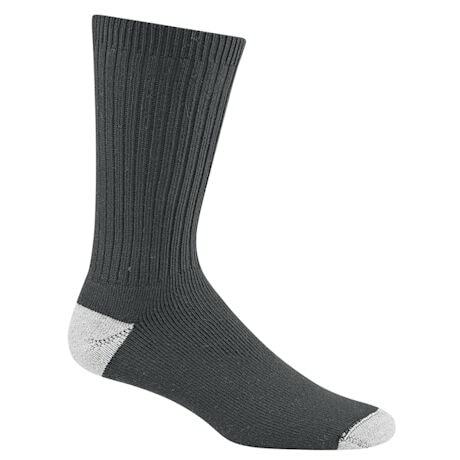 Featuring a cushioned sole with a seamless toe, so even the most sensitive feet stay comfortable and blister-free. Plus, FreshGuard™ odor protection eliminates unpleasant odors for a more enjoyable walking experience. Polyester/Tencel®/Nylon. White. USA. Sizes: See chart.